When you walk through our doors, you're visiting a team that truly listens to you. After all, every patient is unique and has different needs. We always take the time to understand how your smile is doing so that we can provide the most customized care possible. By formulating specialized dental services, we seek to empower you with treatments that fit your needs, your circumstances, and your lifestyle. From the way we treat you and the attention we provide, you'll see just how much we care for you and your family. 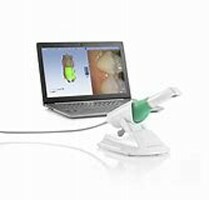 Our team is very proud of our implementation of new, modern technologies that have revolutionized the field of dentistry. We have it all, from laser whitening to implant supported crowns, bridges, and dentures. Most notably, we offer the Planmeca Fit System, an advanced system that digitally scans and designs your crowns at our office while you wait. 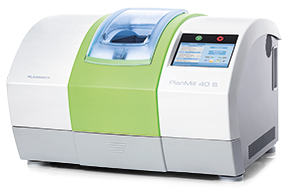 With this cutting-edge technology, we provide an unparalleled dental experience, enabling us to deliver high-quality dental restorations in a single, same-day appointment. At Complete Smiles, your wish is our command. From fillings to veneers to whitening, our services cover every possibility and cater to your specific preferences and lifestyle. As always, we offer complimentary consultations to aid in your custom smile design. Below, you can find information regarding the most common cosmetic dentistry procedures. With advancing technologies, fillings have developed to such an extent that they can replace silver and mercury amalgams by mimicking the appearance of natural teeth. We match the filling to the exact shade of your tooth to ensure it is visually identical. Rather than removing a large portion of the tooth, we remove only the damaged portions, effectively preserving a larger quantity of the tooth. Finally, the filling can strengthen your tooth by bonding at all angles. 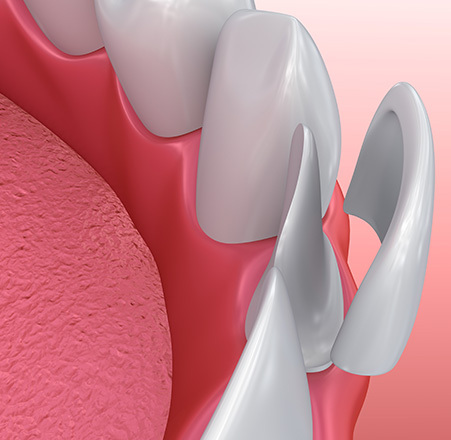 Veneers are thin shells that bond to the surface of the teeth. They are known for solving a multitude of problems ranging from a simple tooth chip to abnormal, discolored, or crooked teeth. Veneers are versatile and can be made from a variety of different materials; however, porcelain is frequently used due to its durability and natural appearance. A more conservative alternative to crowns, veneers require less reduction of the tooth's original surface. With veneers in place, patients can expect straighter, whiter, and more proportional teeth. Inside your tooth is a tissue called pulp. Issues such as decay, a crack or chip in the tooth, or a blow to the tooth can result in inflammation or infection of this tissue. If left untreated, this inflamed or infected pulp can lead to pain or abscess. Fortunately, a mature tooth is not dependent on this pulp. This is where endodontic treatment comes into play. 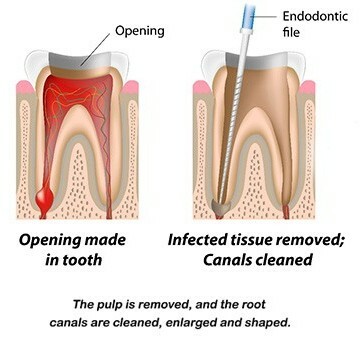 Endodontic treatment is the technical term for the procedure commonly referred to as a root canal. By incorporating advanced techniques, the procedure minimizes any discomfort that accompanies the inflammation and ensures a lasting solution by utilizing restorative treatments such as posts and crowns. Nothing freshens up your appearance quite like a whiter, brighter smile. At Complete Smiles, we offer a variety of teeth whitening methods, From same-day laser whitening or Zoom to take-home products such as the Kor Deep Bleaching System and Opalescence. Using the best products currently available to dental professionals, we develop a plan specifically for you. A dental implant is a small, but strong, device that is inserted in the jawbone in place of a missing tooth root. When in place, bone grows and bonds with the surface of the implant. Inspired by natural smiles, implants are alternatives to the fixed bridge. They act and appear like a natural, healthy tooth. Implant dentistry is the most advanced therapy available to treat missing teeth for numerous reasons: implants preserve bone, promote overall health, and save neighboring teeth. They are strong, reliable, and aesthetically pleasing. Contact us to inquire about implants today.